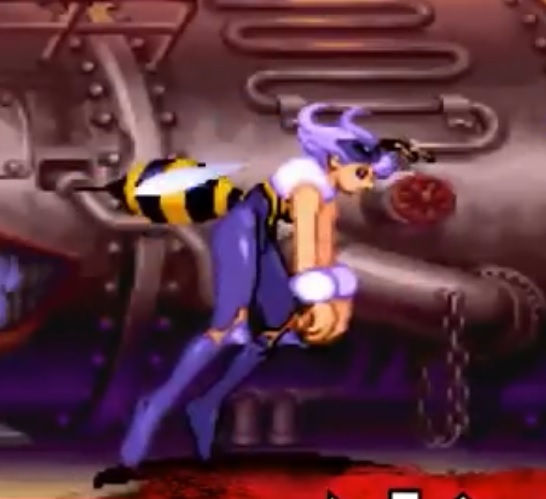 She's Fantastic: Darkstalkers 3: Vampire Savior - Q-BEE! 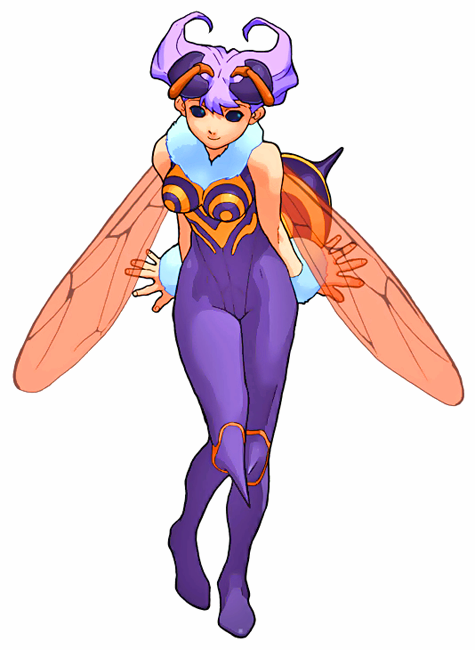 Her wings are adjustable for a folded-down look. Here is an image of the standard purple version. And here are a couple images from gameplay and promotional graphics. And here's a cool gameplay clip. This is the same version that I have. Mine came in pieces packaged in a bag with a small folded insert that showed the other figures in the line. Mine came bagged without any inserts. I'm thinking they were officially re-released after the carded versions were retired. 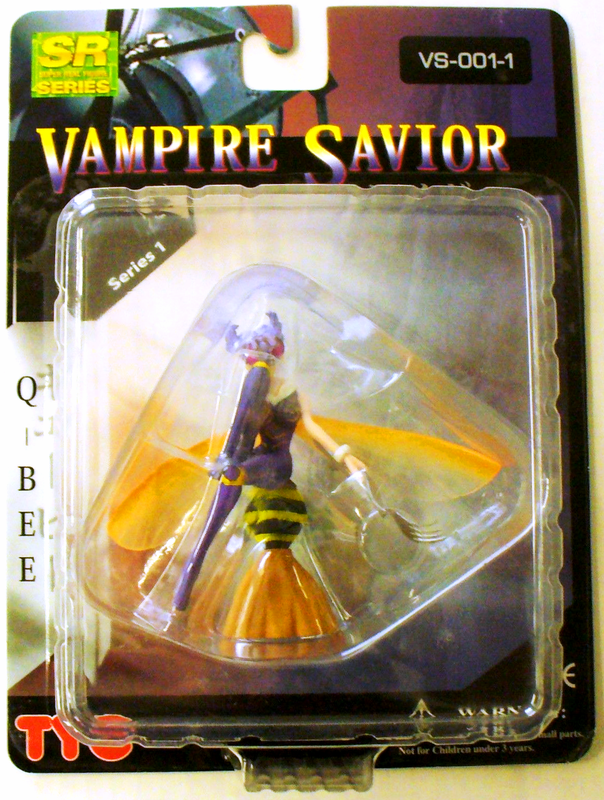 I have a couple of this figures. In Japan they come in plastic balls, and you have to assemble them. They are called gashapon. Also come in plastic bags, blind boxes (you get random figure), and of course blisters. In Japan they have "bar" where you put coins and get a random figure of an anime, manga or video game. 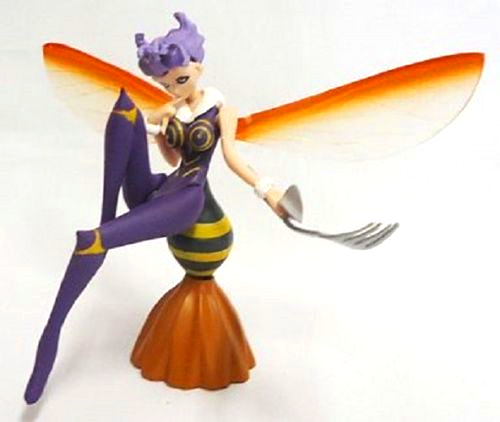 My favourite are Shin Megami Tensei, Galaxy express, etc but they do figures of jus about any cartoon. I have hundreds. They re not (mostly) articulated, but they are well done and are cheaper than action figures. (Apologies if you already knew all of this). I do actually know quite a bit about Japanese toy culture, gashapons, blind boxes and the like. But it's funny because they are much more prevalent in some of my other collections. I jokingly always tell people that I collect hobbies. Two of my other plastic obsessions (after action figures) are animal replicas and Pez dispensers. Both of those hobbies have heavy presence in the gashapon world. I can't even estimate how much money i've spent through celga.com bidding on japanese auctions.